The Illumina mission is to improve human health by unlocking the power of the genome. In constant pursuit of this mission, they develop innovative technologies that sequence genes and analyze genetic variation and function. 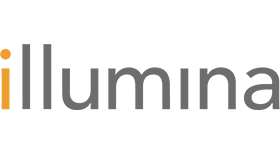 In 2014, Illumina broke the sound barrier in genomics by reducing the cost of sequencing a whole human genome to $1000, down from $1M in 2001. Named the world's smartest company by MIT Technology Review, Illumina relies on Atlassian to help make genetic sequencing accessible and affordable. The company uses Jira Software Data Center and Confluence Data Center to manage software development and testing for applications that customers use to analyze sequenced genomic data, as well as the cloud-based platform where data is accessed. "Atlassian helps us develop software faster and more efficiently. As a result, the time and cost to develop these tools has been reduced." says Huw Morgan, staff software project manager at Illumina. To initiate a software project, business owners create a marketing requirements document (MRD) in Confluence. Next, teams in the US, UK, Canada, and Singapore begin to collaborate through Jira, and automatically keep stakeholders apprised through Confluence. "Using Atlassian for collaboration and approvals has shaved days off our development process," says Morgan. Once there’s consensus, the team transposes requirements into a project in Jira. When development and testing are done, the team locks down the design history file as a permanent record in Confluence. Other teams at Illumina who haven’t traditionally used ‘software development' tools have seen the value of using Atlassian as well. Some have moved to using Jira for tracking non-software orientated requests. “A process that used to take multiple emails and Excel documents, now gets tracked in Jira where it's easy to review and report on,” says Morgan. Marketing is also joining in. “We are using Confluence and Jira to build an agile marketing team,” says Ilya Chorny, business manager at Illumina. Almost 2000 people at the company now take advantage of Jira and Confluence. Achamos que você talvez também goste dessas histórias.